50 fabulous projects—from tiaras and jewels to mini thrones and magic mirrors—all reusing, re-purposing, and recycling around-the-home items. Comes with glitter, gemstones, satin, tulle, and more! 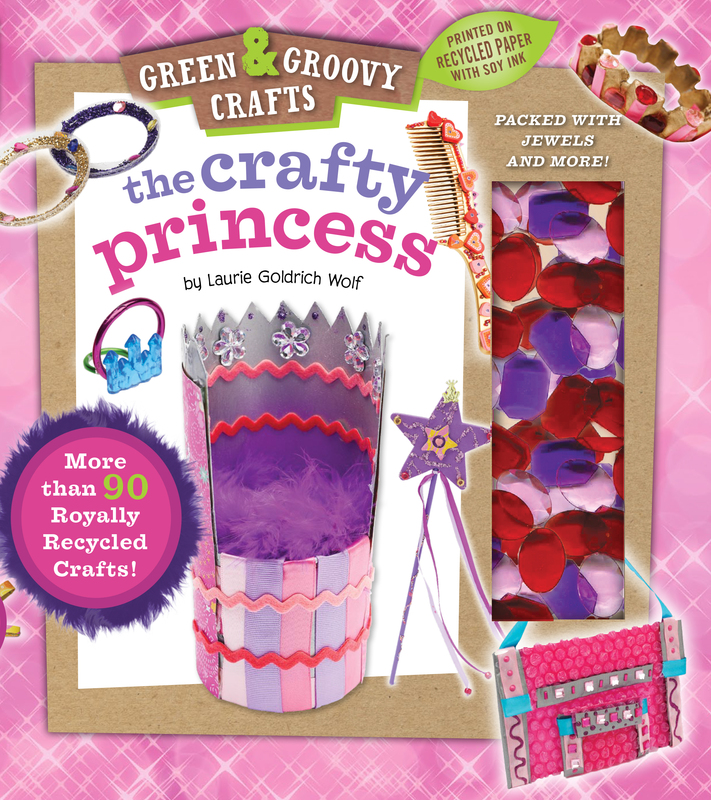 Eco-chic princesses everywhere will delight in the more than sixty fabulous projects included in The Crafty Princess . Each craft—from tiaras and jewels to mini thrones and magic mirrors—can be made by reusing, re-purposing, and recycling around-the-home items along with the contents of the kit. Little girls will love bringing on the bling with these simple, pretty creations! Things that Go! offers hundreds of ideas for transforming trash into super-cool transportation—from mint tin racing cars and milk carton tugboats to CD spaceships and shoebox dump trucks. There are also simple ideas for ramps, tunnels, and other fun roadways. Budding mechanics will using the materials from the kit to build easy, working toys. Easy-to-follow directions and great photos accompany every exciting project!